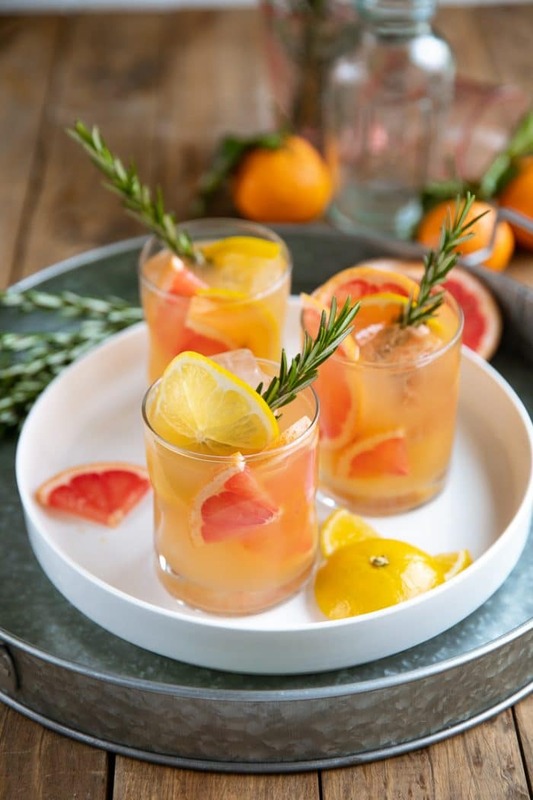 Rosemary Brown Derby – a smooth and refreshing bourbon and grapefruit cocktail made with bourbon, honey, fresh grapefruit juice, and fresh rosemary. I made this rosemary brown derby for the first time last winter. I know this because the grass was still green in my backyard; very unlike the yellow dried up grass that we have now. 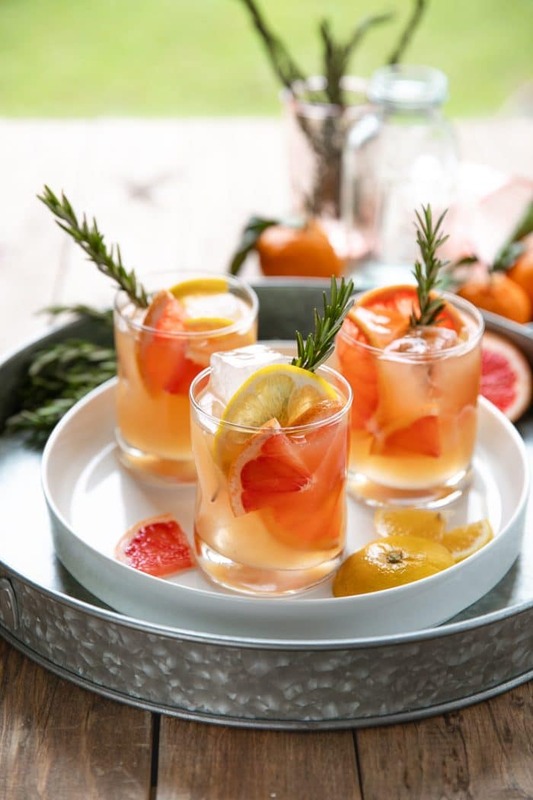 I can’t remember what’s prevented me from sharing this bourbon and grapefruit cocktail recipe with you guys because it’s delicious and easy and requires no fancy mixers or liqueurs. Before I get started with important bits of this post, like the ingredients and how to make it, I thought I should mention a thing or two about my inspiration for this lovely bourbon and grapefruit cocktail- the Brown Derby Cocktail. What is The Brown Derby? Invented in Hollywood in 1930, the Brown Derby is named after the iconic 20th century Los Angeles restaurant chain. 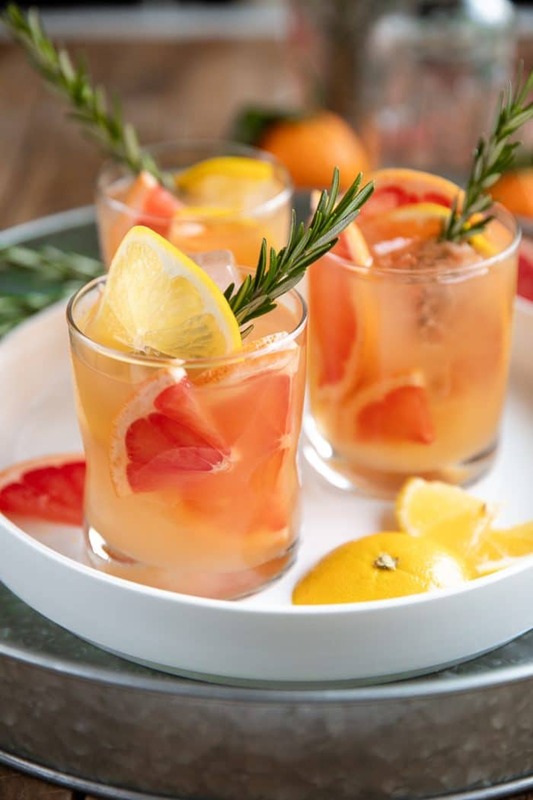 Made with bourbon, fresh grapefruit juice, and honey, the Brown Derby was invented at the Vendôme bar and is known for its perfect balance of tart and sweet. But, this isn’t a classic Brown Derby cocktail. I mean, it is…but it isn’t. This is my own version of the Brown Derby. Equally delicious and just as easy. Just kidding. I recommend that you enjoy citrus. Even just a little. The main difference between my Rosemary Brown Derby and a Classic Brown Derby is the addition of fresh rosemary (obviously) and the addition of soda water. My reason for adding each of these ingredients is not because there is anything wrong with the original, but more because I literally cannot help myself. I have this compulsion to tweak recipes. 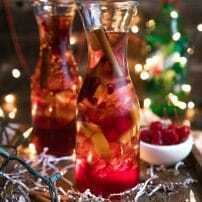 I also really love bubbly drinks. And, it’s a fact (proven by myself) that fresh herbs in cocktails make them better. Anyway, to make this cocktail, I highly recommend that you use a cocktail shaker. Usually, I would just tell you to dump it all in a mason jar, seal with a lid, shake, and pour, but anytime that you use fresh herbs you should use a cocktail shaker. Why? drinking small bits of fresh rosemary isn’t exactly my idea of a good time. Unfortunately, a mason jar doesn’t come with a strainer attached to the lid. Rosemary Brown Derby - a smooth and refreshing Bourbon and grapefruit cocktail made with bourbon, honey, fresh grapefruit juice, and fresh rosemary. Fill a cocktail shaker with ice. 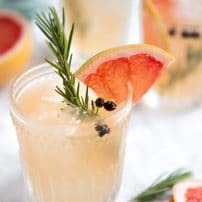 Add the bourbon, grapefruit juice, fresh lemon juice, honey, and a small piece of fresh rosemary to the cocktail shaker and shake vigorously for 10-20 seconds. 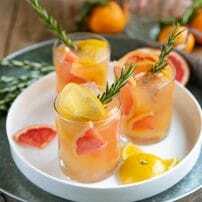 Strain into a rocks glass filled with ice and top off with soda water, sliced grapefruit, and a fresh sprig of rosemary. Enjoy! 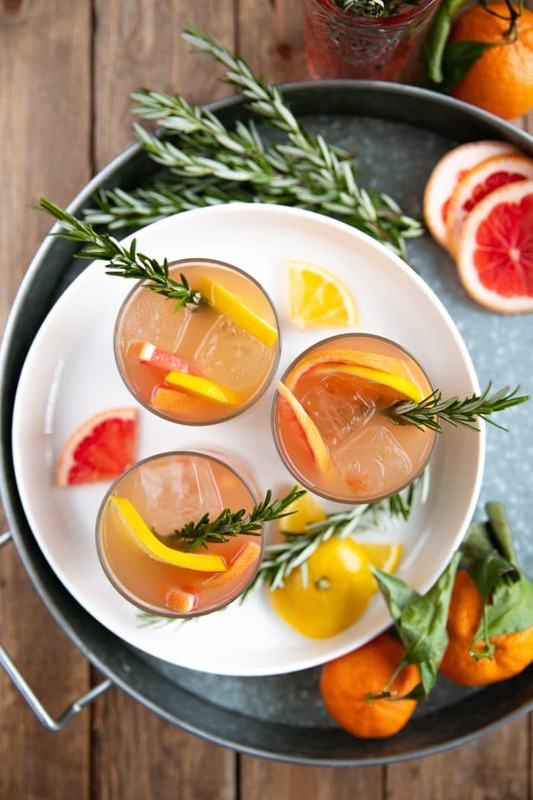 Want to try this Bourbon and Grapefruit Cocktail? 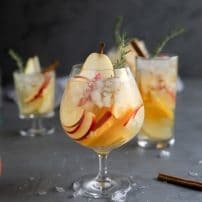 to your “Cocktail” or “Entertaining Ideas” Boards on Pinterest and save it for later! Pinned to my bourbon board, this sounds wonderful!